Eschew the tourist crowds and head to Zabriskie Point and Artists Dr. Get in touch with nature at Badwater Basin and Panamint Range. There's much more to do: take some stellar pictures from Dante's View, explore the striking landscape at Artists Palette, don't miss a visit to Mesquite Flat Sand Dunes, and go deep underground at Eureka Mine. To find maps, more things to do, photos, and other tourist information, use the Death Valley National Park travel planner. Tampa to Death Valley National Park is an approximately 12-hour combination of flight and bus. You can also do a combination of bus and flight; or drive. The time zone changes from Eastern Standard Time (EST) to Pacific Standard Time (PST), which is usually a -3 hour difference. When traveling from Tampa in August, plan for a bit warmer days and a bit cooler nights in Death Valley National Park: temperatures range from 98°F by day to 70°F at night. Finish your sightseeing early on the 26th (Mon) to allow enough time to travel to Lee Vining. Lee Vining is a census-designated place in Mono County, California, United States. 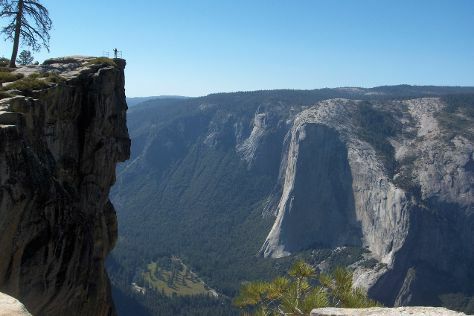 Escape the urban bustle at Taft Point and Yosemite Falls. You'll explore the less-touristy side of things at Glacier Point and Tioga Pass. Explore Lee Vining's surroundings by going to Yosemite National Park (Sentinel Dome & Half Dome). There's more to do: get impressive views of Mono Lake Tufa State Natural Reserve and see the interesting displays at Mono Basin Historical Society. To find where to stay, more things to do, reviews, and other tourist information, you can read our Lee Vining online trip itinerary builder . You can drive from Death Valley National Park to Lee Vining in 4 hours. When traveling from Death Valley National Park in August, plan for slightly colder days in Lee Vining, with highs around 81°F, while nights are cooler with lows around 43°F. Wrap up your sightseeing on the 29th (Thu) to allow time to travel to San Simeon. On the 30th (Fri), explore the historical opulence of Hearst Castle, take a memorable drive along Moonstone Beach Dr, and then kick back and relax at Moonstone Beach. On your second day here, enjoy the sea views from Piedras Blancas Light Station, then kick back and relax at Piedras Blancas, and then look for all kinds of wild species at Elephant Seal Rookery. To find reviews, traveler tips, photos, and tourist information, refer to the San Simeon trip builder tool . Traveling by car from Lee Vining to San Simeon takes 7.5 hours. Alternatively, you can fly. In August, San Simeon is somewhat warmer than Lee Vining - with highs of 94°F and lows of 55°F. Wrap up your sightseeing on the 31st (Sat) early enough to drive to Carmel. Carmel-by-the-Sea, often simply called Carmel, is a city in Monterey County, California, United States, founded in 1902 and incorporated on October 31, 1916. Eschew the tourist crowds and head to Monterey Bay and Carmel River State Beach. Step out of the city life by going to Dolphin & Whale Watching and Point Lobos. Explore the numerous day-trip ideas around Carmel: Big Sur (McWay Falls & Julia Pfeiffer Burns State Park). 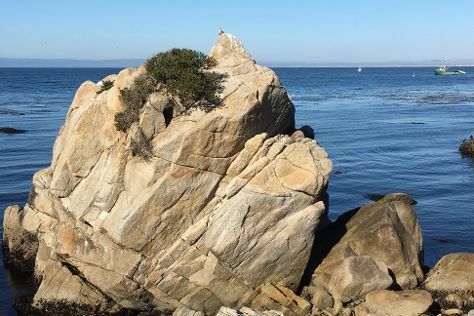 The adventure continues: get to know the fascinating history of Pacific Grove Oceanview Boulevard. To see traveler tips, ratings, more things to do, and more tourist information, refer to the Carmel tour itinerary builder website . Drive from San Simeon to Carmel in 3 hours. Alternatively, you can do a combination of car and bus. Traveling from San Simeon in August, expect nights in Carmel to be about the same, around 57°F, while days are colder, around 70°F. Finish your sightseeing early on the 3rd (Tue) to allow enough time to drive to San Francisco.